Developing the reading habit in children is a struggle for most parents. 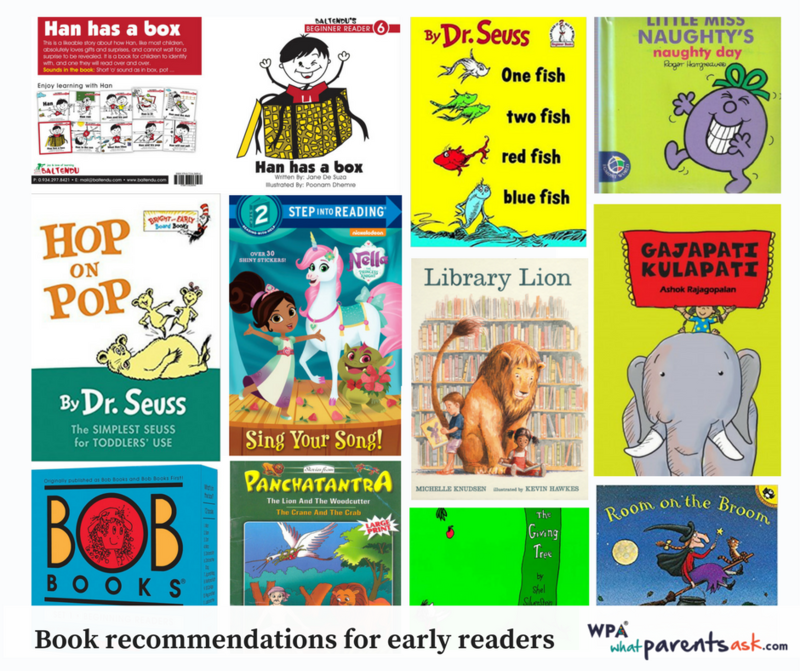 If you are wondering how you can get your child interested in reading – then this article brings you all the expert help you can possibly need. The long summer vacations are the right time to get your child interested in reading. And our expert gives you a whole bunch of tips on how to develop the reading habit in children. She also lists out books that can help you cultivate the reading habit in children. Start now! 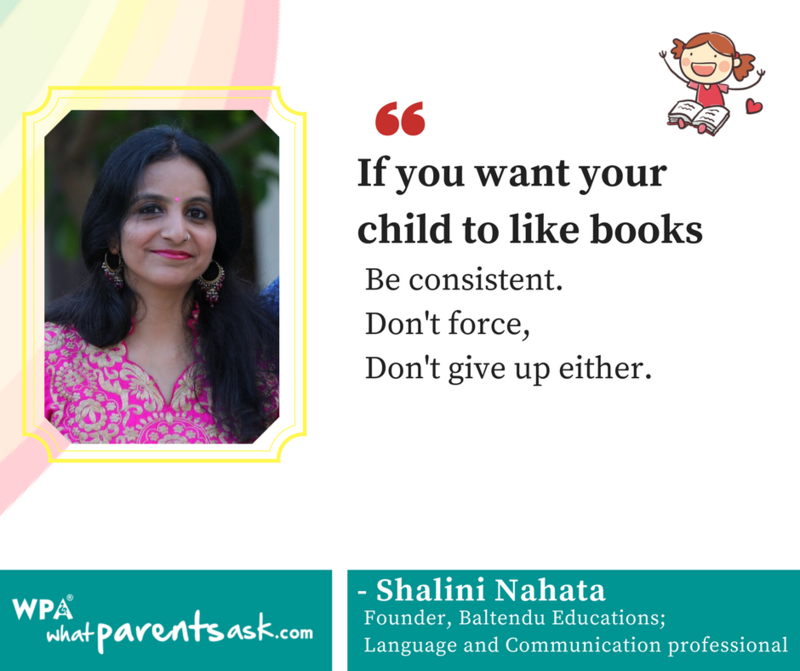 With these tips from our expert Shalini Nahata. 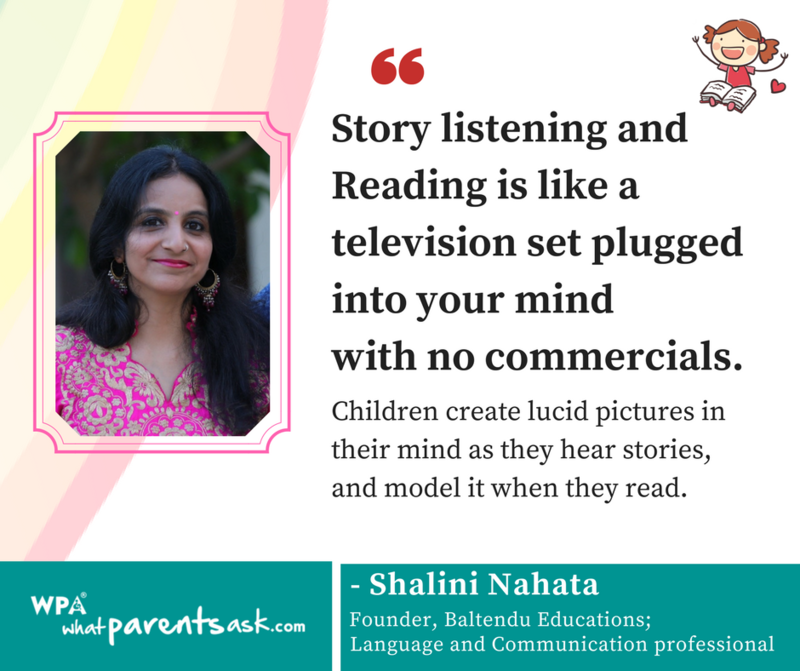 Shalini Nahata is a Language and Communication Professional and is the founder of Baltendu Educations. She is the creator of the HAN Series, a reading series for beginners. She is a trainer on Phonics, Communications Skills, Multiple Intelligence and Humor in Parenting. 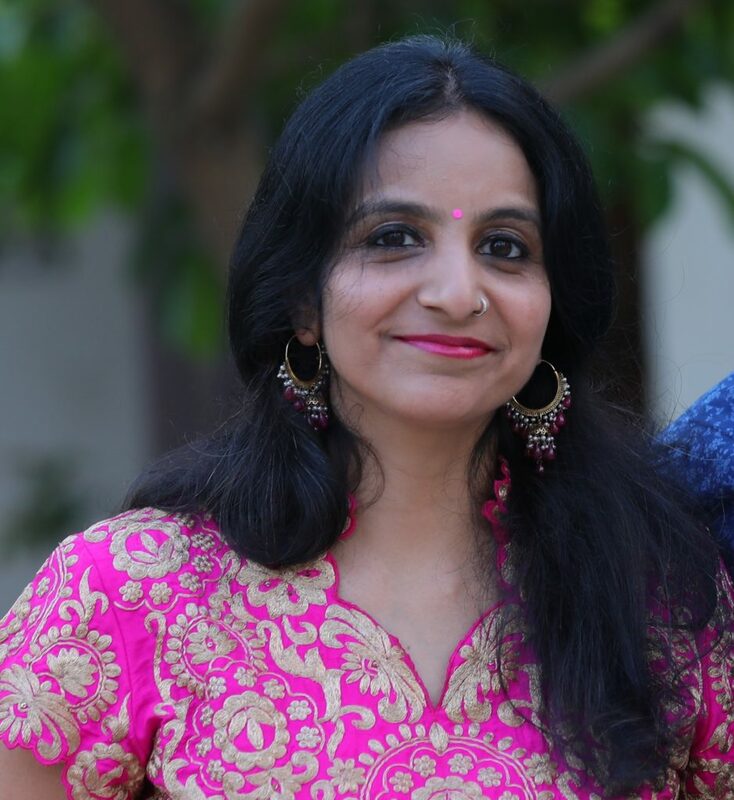 She has extensively used humor in the classroom and has proved to be very effective with children. Summer Vacations are in sight, and of course, reading should be the number one planned adventure for children. A child sitting in a comfortable space in the deep grip of a mystery, countenance narrating the tête-à-tête with the characters, is a priceless, gratis, hassle-free adventure that every parent silently desires for their children. 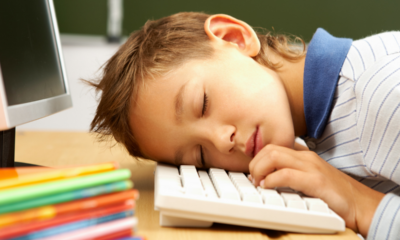 Yet reading habit in children resembles a genetic disorder, the DNA of which needs repair. 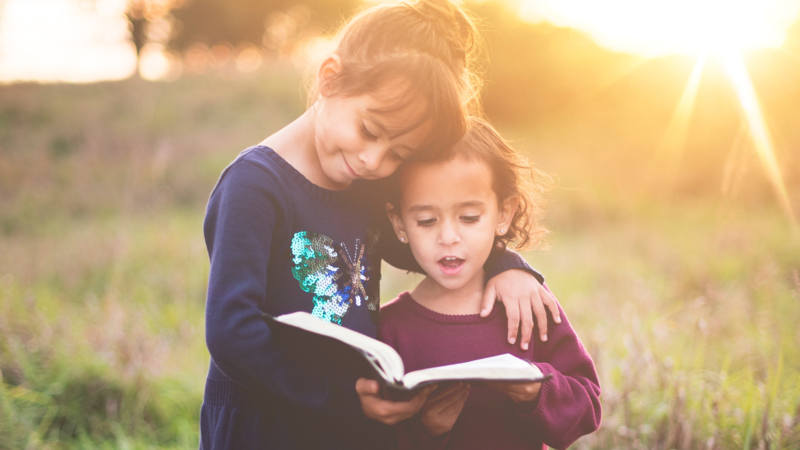 This article takes a dive into the unknown space where reading can be genuinely nurtured and suggests tactical ways that you can start with a new slate this summer, and also books that can make a difference. Dive #2: Every small step in the right direction COUNTS! Read aloud with a Zing! 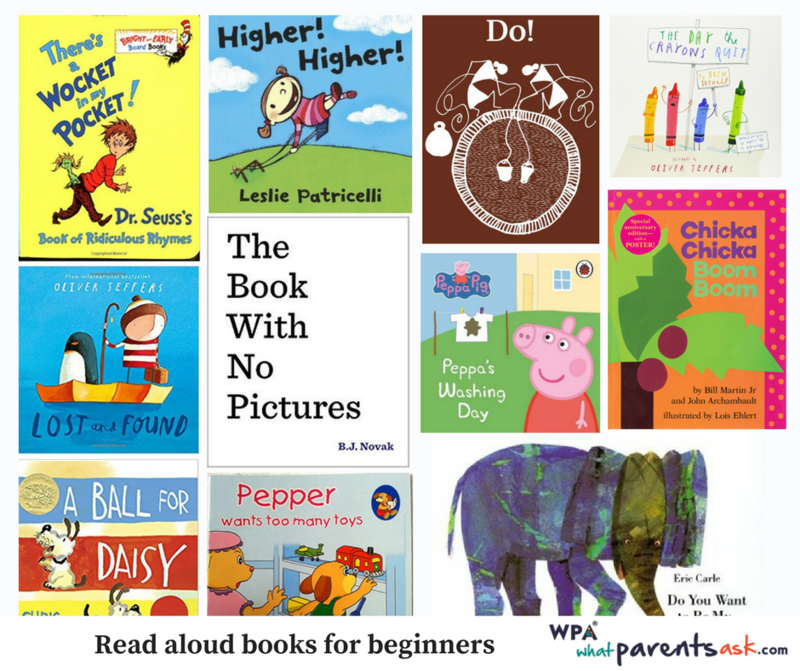 Children have a whale of a time with graphics and picture books and it’s never too early to start reading to them. While reading, you can cackle, clatter, talk or dance like a popcorn over the hot fire. Be bizarre! You can commence read aloud for a little baby and pursue until the moon winks. 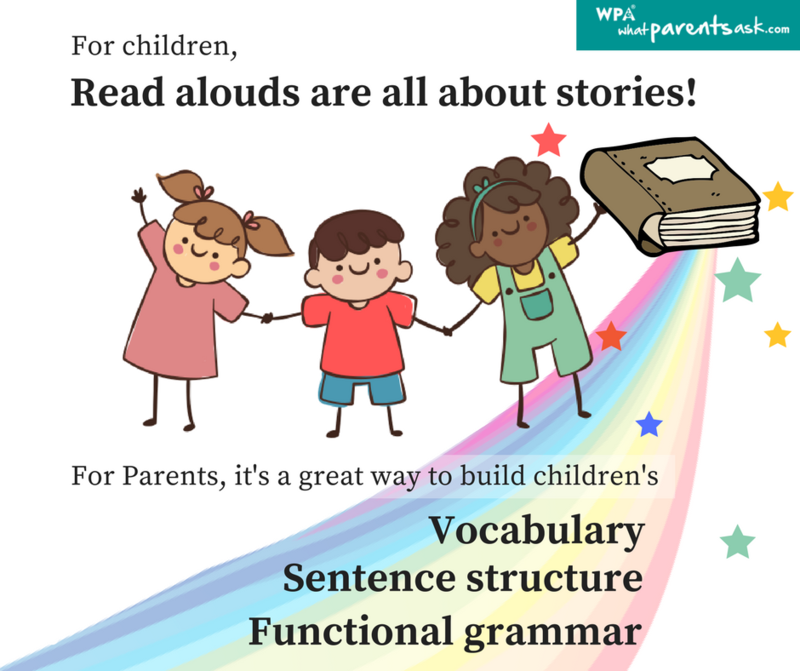 For children, it’s always about stories, and the vocabulary, sentence structure and functional grammar are the defaults of a read aloud. Do bring in a personal touch by sharing books you are gung-ho about. A few easy to procure books from popular authors are tabulated below. Secretly roll them into the world of stories: In my mind, this strategy is right after the read aloud. For little children, books are the mirror of stories. Both story listening and reading involve using one’s imagination. It’s like a television set plugged into your mind with no commercials. Children create lucid pictures in their mind as they hear stories and model it when they read. Take them in the company of storytellers, bring stories to life through role play and make them cry with your freaking laugh riot as you tell and retell the stories close to your heart. Weekly visits to library and bookstore: Library is a wardrobe of books. Exploring books in a library or a bookstore and reading titles that children hanker after, brings in the versatility of content, improves reading stamina and provides a heroic peek into a child’s pet genre. It is thrilling for babies to high schoolers alike. Children wrap and roll into books and establish a love for literacy. So plan it, schedule it and make it your priority. The subtle alchemy: Not every age-appropriate book will be at your child’s reading level. 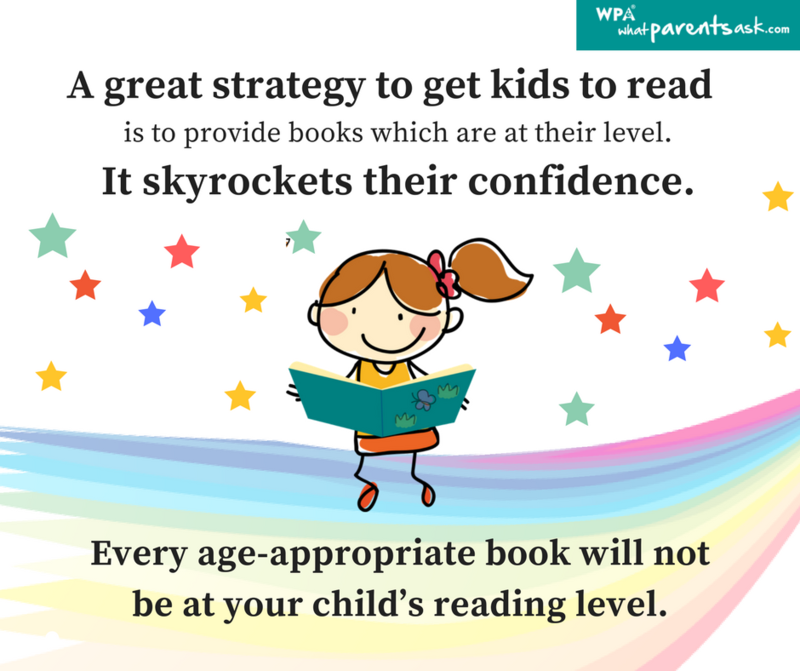 Providing books to beginner readers which are at their level is an unparalleled strategy for reading. It skyrockets their confidence and powerfully breaks their heebie-jeebies. A few books for beginner reader’s in the increasing order of complexity are tabulated below. Repeatedly reading a book children love: Many parents believe that repeated reading of a book is as pointless as a pencil with no tip. While it may drive many parents’ nuts, reading a book repeatedly brings in surprise benefits of word recognition, structure, vocabulary, fluency, comprehension and confidence along with heartache, joy and the story for life. 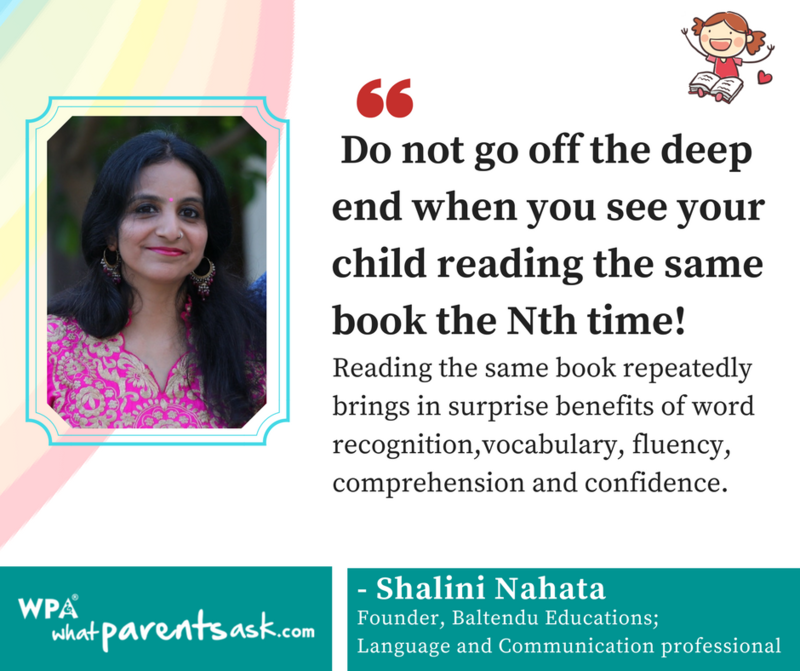 So do not go off the deep end when you see the children reading the same book the Nth time! 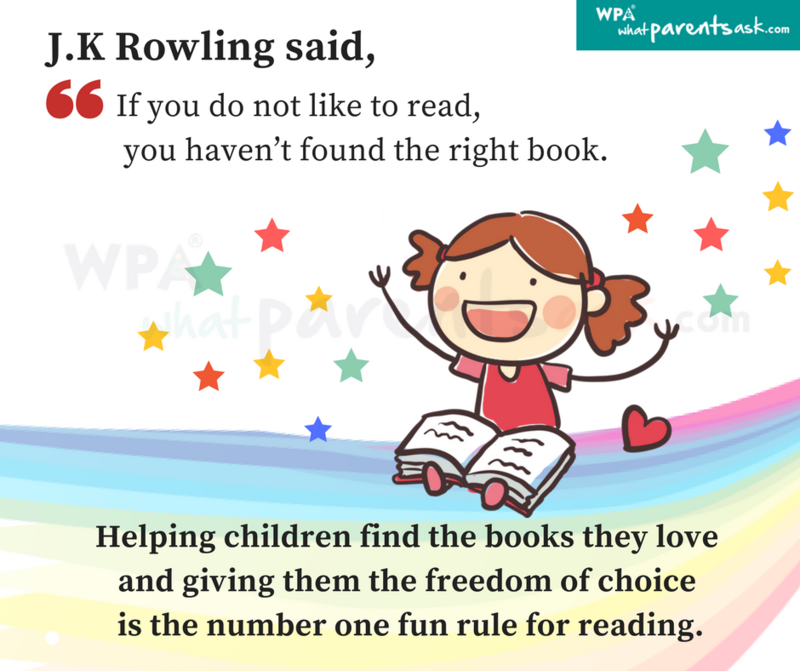 Give children books they’ll gobble up but don’t judge: J.K Rowling said, “If you do not like to read, you haven’t found the right book.’Helping children to find the books they love and giving them the freedom of choice is the number one fun rule for reading. However, often children buy their favourite books, turn a few pages, read for some time and then hem and haw about why they do not want to read it anymore. This happens when the context of the book is perfect but the level of the book is flawed. For every book that you buy for the child, understand if the child can decode 96% or more words and has at least 90% of comprehension. That is the text child would fling herself into and feel gaga about. Use Series books and zip through reading: You get a child hooked to series books and she zips through one book after another. Series books are instrumental in nurturing flow, as they create suspense and a longing for what happens next. A series can turn a reader into a fanatic reader. Mr Men and Little Miss by Roger Hargreaves, Mighty Robot by Dav Pilkey, Henry and Mudge by Cynthia Rylant, Geronimo Stilton, Harry Potter by JK Rowling, Horrid Henry by Francesa Simon, Roald Dahl, Famous Five by Enid Blyton, Magic Tree House by Mary Osborn, Diary of a Wimpy Kid by Jeff Kinney are a few of the popular series books. Get on to the wagon! Audiobooks, now that’s an underdog: The surprising world of audiobooks is a rabbit hole that aurally takes you to the journey to bizarre places and people and cannot be compared to reading. The concept of audio books is enchanting as music is a very powerful tool and can make a situation come alive. Many children books come with a CD. You can have the child follow the book while the audio is played. You can listen to an audiobook in the car, doing craft activities, or even while playing indoors. It will hook the child and develop auditory skills, vocabulary, comprehension, and vivid imagination. You can begin with audiobooks of the children’s classic Karadi Tales, or find some free ones at storynory.com. Read and record: For children, listening to their recorded voice is equivalent to the popcorn clutched experience of watching a superhero movie. Although short-lived, stories come alive and characters are felt deeply when they hear it in their voice. You can record using GarageBand, QuickVoice Recorder, or Voice Recorder. Reading role models: Let’s accept it; most of us are not reading role models for the children. Nor are the superheroes, the movie stars, the Barbie’s, the Cinderella’s and the Ben 10’s of the fiction world. The school principal, the class teacher and even the sports coach can be a powerful role model for reading. A food for thought! Also read How many words does your child know? Dive # 3: Success is not final, failure is not fatal; it is the courage to continue that counts. Consistency is the key: You already know your touch points with the article, seize them, and do them consistently until they become like a relaxed sleep that you must take for a good life! Beware of clichés! Do not give up but don’t be forceful either! Add a zing with the zest! Remember, there is always a window which is open while you are spending your time pushing the closed door. 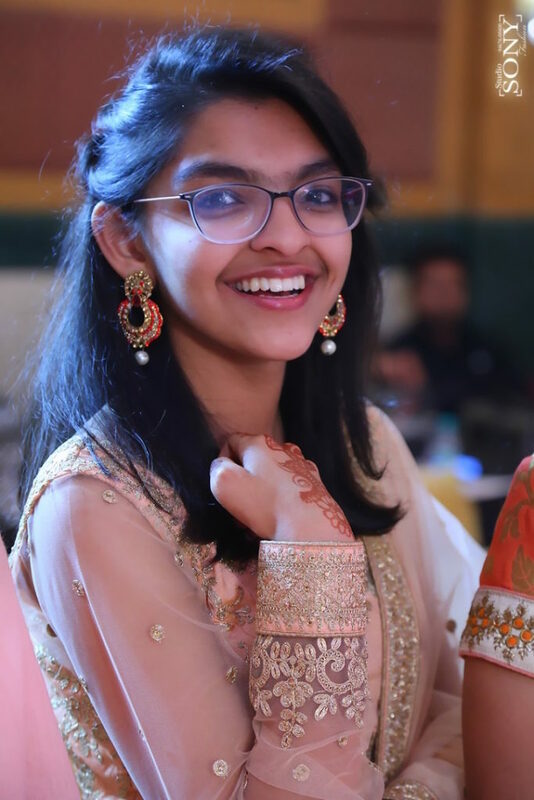 The books in this article are recommended and endorsed by Ananya who is a student of the 11th grade at Inventure Academy. 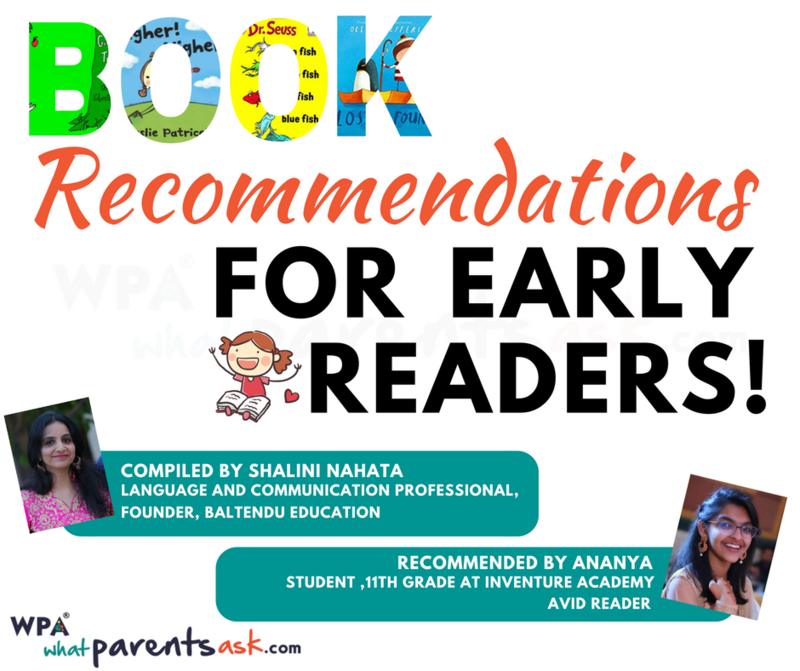 Ananya is an avid reader and began reading at the age of 2. As a student, she enjoys Mathematics, Chemistry, and Physics. When she isn’t at school or studying for her exams, she likes to read, sing, and hang out with her friends.